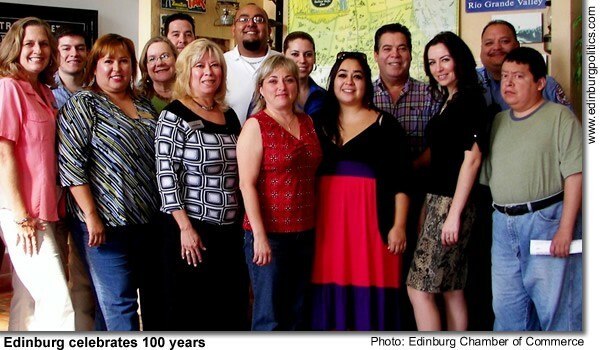 A lifetime of personal and professional successes have never taken away the distant, but still powerful memory of poverty – and the injustices associated with such a monumental struggle – from Edinburg school board trustee Carmen González. 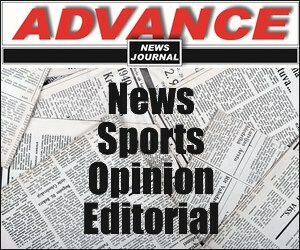 So it is no surprise that she was willing to push for last May’s passage of a $112 million school bond construction issue – a political risk, many of her supporters feared – to make sure that every student in Edinburg will learn in state-of-the-art facilities, rather than be forced to endure classes in the less-than-ideal conditions of portable classroom trailers. Last year, about 5,000 students attended class in 179 portable classroom trailers, many which are located on campuses in the less-affluent regions of the community. Supporting the classroom construction bond issue is one of the ways to help Edinburg students and their teachers to be spared from the educational roadblocks caused by financial inequalities, she suggested. González, who is finishing up her first term on the seven-member school board, shared some of her life experiences at the ECHO on Thursday, August 21, before hundreds of friends and political allies who showed up to help kick-off her reelection bid for a four-year term. 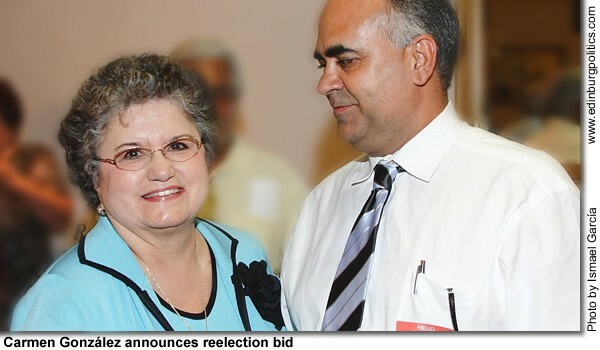 A retired professional educator whose career saw her rise from the classroom to the top leadership position as the former interim superintendent of ECISD, González is being challenged by another well-known political figure. 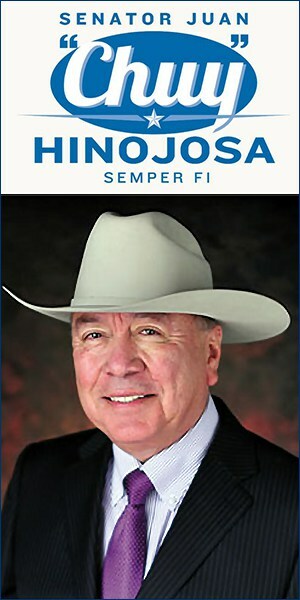 Gilbert Enríquez, a former school board trustee and renowned leader in business construction projects in the region, has also filed for the seat now being held by González. So far, there are no other announced candidates for that spot. The post currently being held by ECISD Board Secretary Ciro Treviño is also up for grabs on November 4, but so far, no one has filed against Treviño in his bid for reelection. González was joined by her husband, Edward, their children, grandchildren, and great grandchild. “This is my rock,” she proudly beamed as her family stood by her side in front of the standing-room only event, held in the Hidalgo Room, which is the main ballroom at the local hotel and conference center. Other notable area leaders who showed up to support her were: Hidalgo County 92nd District Court Judge Ricardo Rodríguez, Jr.; Rep. Aaron Peña, D-Edinburg; Hidalgo County Tax Assessor-Collector Armando Barrera; former Hidalgo County Sheriff Brig Marmolejo; ECISD Board President Omar Palacios; ECISD Board Vice President David Torres; ECISD Board Secretary Ciro Treviño; Edinburg City Councilmember Alma Garza, who served as Mistress of Ceremonies; former Edinburg Mayor Richard García; former Edinburg Mayor Al Ramírez; Edinburg Municipal Court Judge Toribio “Terry” Palacios; Justice of the Peace Mary Alice Palacios; Justice of the Peace Charlie Espinoza; and Hidalgo County Precinct 4 Constable-elect Eddie Guerra. In taking her candidacy to voters, González also will be reminding them of the many achievements which have occurred since she first took office in May 2005, and especially during the past academic year, during which she was president of the board. Always a diplomat, González spread the credit to her colleagues on the board, but especially to the estimated 4,000 employees of the district, ranging from the administration to teachers and coaches and all the support personnel, from aides to bus drivers. The fund balance – the savings account for the school district – has increased from $15 million in 2005 to $23 million, while still setting aside money – without borrowing from the bank – for key projects, including remodeling Barrientes Middle School, which had been closed for two years, adding 49 classrooms to seven elementary campuses, installing artificial turf at Cats Stadium, and improving numerous parking lots. Proud as she was of the academic and budgetary achievements posted by the school district, González reminded constituents that attacking possible cronyism in the school district was also important. González said she helped spearhead a nepotism policy, approved by the board, that is designed to do away with favoritism in the doling out of school district contracts and jobs. “No longer do (campus principals) get calls from board members or powerful individuals in central office, telling them who to hire, who to fire, who belongs, who doesn’t belong, who to promote, who not to promote, what to do, what not to do,” González said. “It was so bad at one time that principals couldn’t move a teacher from one grade to another grade without getting a call from somebody. She said she applied the same high ethical standards to herself, noting that her daughter-in-law taught classes in a portable building in the Edinburg school district. The $112 million bond issue, overwhelmingly approved on May 10, could be one of her biggest accomplishments and part of her legacy to the community. “I remember saying at the first community meeting we had (last fall on the bond issue) that the importance of this bond issue is so close to my heart, that even if I lose my election, but we passed the bond issue, I would be satisfied,” she said. • Proposition 1 authorizes the school district to: build four elementary schools; build two middle schools; convert Harwell Middle School into a fourth high school; add one multi-purpose fine arts center to each of the three existing high schools; construct additions/renovations at Brewster School; and buy land for the new schools. The total projected cost is $111,920,000. • Proposition 2 authorizes the school district to refinance, at a lower interest rate, $37,675,000 of 1998 Lease Purchase Bonds, and convert them into Series 2008 voter authorized IFA supported bonds. IFA means Instructional Facilities Allotment (IFA), which is a state fund available to help qualified school districts such as Edinburg receive help in paying for construction of new campuses. IFA is distributed through grants, most of which go to districts with low property wealth. As part of her pledge to keep the school board’s activities in the open, she supported the creation of a citizens oversight committee last fall that drew on the talents, ideas, and scrutiny of a diverse group of community leaders. The citizens panel helped plan, critique, learn, and inform the community about the need for expansion of classroom facilities for thousands of students. The citizens oversight committee – which still continues to interact with board members on the planned construction projects – is proof of her promise to the public that the school district would conduct its business in the open. In gearing up for her race against Enríquez, González pledged to focus on her continuing vision for the school district, not personal attacks. She reassured voters that they know what they have in her. Emphasizing that she can be counted upon to remain steady in her principles, she poked fun at herself, smiling as she revealed, “I am even wearing the same outfit,” drawing cheers and laughter from her loyal audience in attendance. Superintendent Garza Gilberto Garza, Jr. called on Edinburg school district teachers and principals to build on student success in 2008-2009 by becoming “One Heartbeat Together” as they teach students to learn. The challenge came at the Tuesday, August 19 General Assembly of all teachers, paraprofessionals, and principals on their first day back in the new school year. 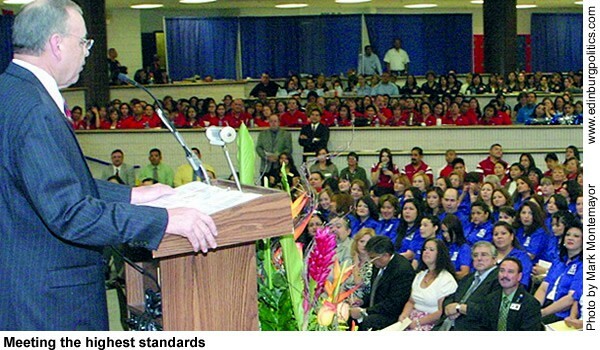 Garza said the district hired 167 new teachers for the 2008-2009 school year. “Of those 167 teachers, 68 are brand new to the teaching profession and 99 are experienced teachers who have chosen to come work in this great school district,” said Garza. “But you’re not alone,” said Garza. “Everyone at the ECISD supports you. Everything we do at the ECISD is intended to support learning,” said Garza. “It isn’t by accident that the district had 12 Exemplary and 15 Recognized campuses last year, or that we had six schools named in Texas Monthly’s Best Public Schools in Texas list, or that 33 schools received Gold Performance Acknowledgments for high academic performance, or that we have two high schools who have been awarded the College Board Inspiration Award, or two high schools named in Newsweek magazine among the Top Five Percent of Schools in the nation,” said Garza. “These things don’t just happen by accident. They happen because you make them happen,” said Garza. “Last year we challenged you to “Go the Extra Degree” in teaching students to learn. You were encouraged to turn it up a notch to make things happen. “As a team, you must remain focused. You put aside your own individual needs and set your eyes on teaching your students to learn not matter how great the challenge,” said Garza. “If we hinge our goal on this theme and make it a part of our daily lives, we are going to see big results. More of our Recognized schools will become Exemplary, and our middle school and high schools will rise to occasion as well,” said Garza. 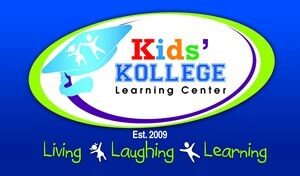 The 2008-2009 school year for students officially begins on August 25. After a final round of interviews, the Hidalgo County Elections Commission on Wednesday, August 20, unanimously selected Yvonne Ramón to lead the Hidalgo County Elections Department. The other members of the commission are Hidalgo County Clerk Arturo Guajardo Jr., Hidalgo County Tax Assessor-Collector Armando Barrera, Hidalgo County Democratic Party Chair Dolly Elizondo and Hidalgo County Republican Party Chair Hollis Rutledge. 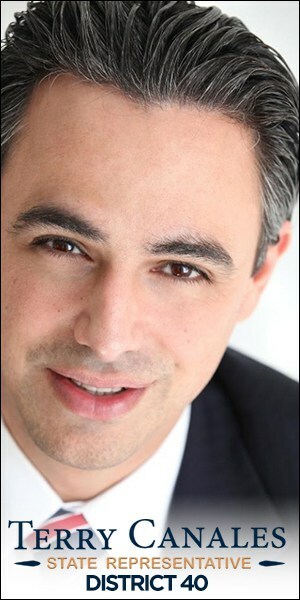 Ramón has bachelor’s degrees in education, sociology and English from the University of Texas-Pan American, plus a Master’s degree in Educational Leadership from UTPA. 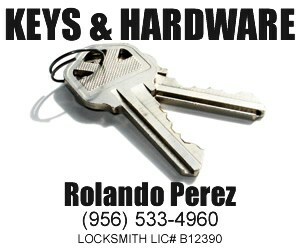 She is currently employed with the McAllen Independent School District as assistant principal at Fossum Middle School. Ramón said she knows that she and the Hidalgo County Elections Department will be under great scrutiny. 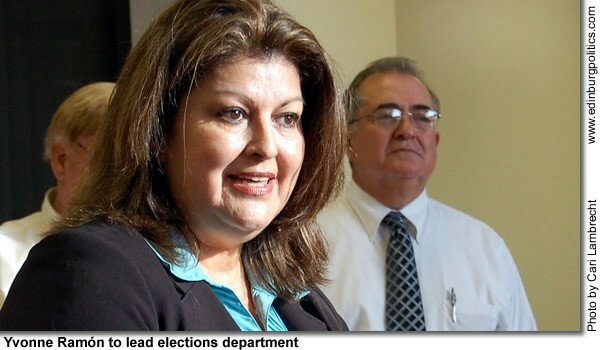 Her appointment as the new Hidalgo County Elections Administrator comes after the resignation of former Elections Administrator Teresa Navarro, which occurred on June 17, 2008, amid allegations of theft from public coffers. Navarro and several former staff members have not been found guilty by a jury of their peers. Since June 18, Commissioners’ Court Executive Officer Valde Guerra has overseen day-to-day operations of the department. Ramón will begin in her new position very soon, as soon as her duties with her current employer are complete. In June, the Hidalgo County Commissioners’ Court set the Elections Administrator salary at $70,000, which is about $10,000 lower than the previous administrator’s salary. The new appointee will not have a car allowance. José Joaquín Morales, 32, of Baltimore, Md., was arrested by Immigration and Customs Enforcement (ICE) agents on Friday, August 15, 2008, alleging he knowingly and intentionally possessed with the intent to distribute approximately six kilograms of cocaine, a scheduled II controlled substance, United States Attorney Don DeGabrielle announced on Tuesday, August 19. The criminal complaint filed by the federal government is merely an accusation of criminal conduct, not evidence. The defendant is presumed innocent unless and until convicted through due process of law. Morales appeared before United States Magistrate Peter Ormsby on Monday, August 18, 2008. Following a brief hearing, the court ordered Morales remanded to the custody of the United States Marshals pending a preliminary and detention hearing that was set for Thursday, August 21, at 9 a.m. 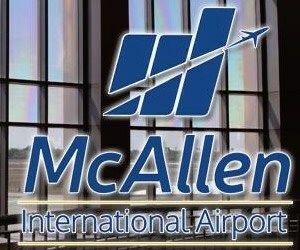 The criminal complaint alleges Morales was planning to charter plane at the The South Texas International Airport at Edinburg to an airport in Baltimore, Md. Ultimately, a K-9 alerted to Morales’ carry-on bag in addition to the area where Morales had been sitting and to the men’s restroom. Under the plastic liner of a trash can, law enforcement recovered six bundles containing approximately six kilograms of cocaine. Possession with the intent to distribute more than five kilograms of cocaine carries a statutory minimum sentence of 10 years up to life imprisonment and a maximum $4 million fine, upon conviction. The criminal complaint is the result of an investigation conducted by ICE and the Hidalgo County Sheriff’s Office. The case is being prosecuted by Assistant United States Attorney Carolyn Ferko. Santiago Pérez, 28, of Edinburg, has been charged and convicted of violating the civil rights through the use of excessive force of two undocumented aliens while employed as a Border Patrol agent, United States Attorney Don DeGabrielle announced on Tuesday, August 19. A two-count criminal information filed under seal on Monday, August 11, 2008, was unsealed August 19 following Pérez’ surrender to federal authorities in Houston. At a hearing that afternoon before United States District Judge Nancy F. Atlas, Pérez pleaded guilty to both counts of the criminal information and admitted violating the civil rights of two undocumented aliens while employed as a Border Patrol agent with the Department of Homeland Security in December 2007 and again in September 2007. In the first case, Pérez admitted to using excessive force in the apprehension of a Guatemalan national on December 6, 2006. On that date, while on duty, Pérez encountered an illegal alien from Guatemala, near the Falcon Heights, Texas, Port of Entry. The undocumented alien had entered the United States with other illegal aliens by wading across the Rio Grande River. The aliens fled from Pérez and other agents who had ordered the illegal aliens not to move. Pérez apprehended the Guatemalan alien, who was neither armed nor resisted apprehension nor posed a threat to Pérez. Nonetheless, Pérez used his service pistol to strike the Guatemalan above his left eyebrow, causing bodily injury. On September 14, 2007, while on duty and transporting an undocumented alien, who had been arrested for alien smuggling, from the Premont Police Department to the processing station, Pérez drove and parked in a secluded area. Pérez then restrained the alien’s hands behind his back and removed him from the government vehicle. Once outside, Pérez instructed the alien to kneel on the ground. Pérez began interrogating the alien, asking where he intended to pick up the illegal aliens he was supposed to smuggle. The alien denied being an alien smuggler. In an effort to scare and coerce the alien into incriminating himself, Pérez drew his service pistol and repeated the questions. The alien continued to deny being a smuggler. Pérez then pointed his weapon at the alien’s head, touching the pistol to the alien’s temple or forehead, and again asked for incriminating information. Pérez intended the alien to fear for his life. He did. The alien believed Pérez was going to kill him as he knelt handcuffed in a secluded area in South Texas. When his threatened use of the pistol failed to elicit an incriminating response, Pérez holstered it and grabbed his police baton. Pérez placed his baton behind the alien’s neck and back and again questioned the alien. The use of the baton caused the alien bodily and mental injury. Pérez also threatened to put the alien “in a hole” if he did not answer his questions. The alien understood the threat to mean that Pérez would kill him. When the alien continued to deny his involvement in smuggling even after being threatened with both a pistol and a baton, Pérez put the alien back into the patrol vehicle and transported him to the processing station. On September 20, 2007, Pérez was interviewed by special agents of the Department of Homeland Security Office of Professional Responsibility (DHS-OPR). Pérez admitted both orally and in writing to having used his pistol and baton against the undocumented alien in his custody in an effort to scare the alien into an admission of guilt. Pérez’ conduct in both instances violated each victim their Fourth Amendment right to be free from excessive and unreasonable force while in the process of being seized by CBP. In the second instance, Pérez violated the alien’s Fifth Amendment right not to be deprived of liberty without due process of law, including his right to be free from harm while in official custody. Pérez faces a maximum statutory penalty of 10 years imprisonment and a $250,000 fine for each count of conviction. Judge Atlas has set sentencing for November 5, 2008, at 1 p.m. Pérez, who is no longer employed as a Border Patrol officer, has been permitted to remain free on a $50,000 unsecured bond pending his sentencing hearing. The investigation leading to the charges and conviction in this case was conducted by special agents of the DHS-OPR. Assistant U.S. Attorney Rubén Pérez and Department of Justice Civil Right’s Division Trial Attorney Michael J. Frank are prosecuting the case. 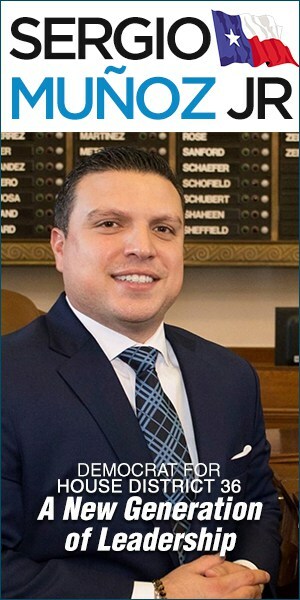 Sen. Eddie Lucio Jr., D-Brownsville, is urging housing providers to participate in a Tuesday, August 26 workshop sponsored by the Texas Department of Housing and Community Affairs (TDHCA) in Harlingen on a $9.2 million colonia housing initiative. Representatives from TDHCA will hold the application workshop from 9 a.m. to noon at the Holiday Inn Express Hotel at 501 South P Street in Harlingen. The workshop will focus on specific regulations and requirements that must be followed when applying for these funds. Eligible applicants may include nonprofit housing organizations, city and county governments, and public housing authorities. Because the state’s more populous cities and counties typically receive housing funds directly from the U.S. Department of Housing and Urban Development, TDHCA must award these funds to those rural areas of the state that do not receive any of these federal housing funds directly. Lucio was instrumental in passing legislation during the 79th Legislative Session creating the Contract for Deed Conversion Program. The program is designed to assist colonia residents in becoming property owners by converting their contracts for deed into traditional mortgages. Once residents convert their contracts for deed, the program offers them the opportunity to rehabilitate their homes and raise them to Colonia Housing Standards. Participants in this program must earn no more than 60 percent of the area median family income. Properties must be located in a colonia as identified by the Texas Water Development Board colonia list or meet TDHCA’s definition of a colonia, and the property must be the resident’s primary residence. The American Red Cross and Catholic Charities have opened up a shelter in Hidalgo County to help families affected by the recent heavy rains. The shelter is located at the Newland Building, 1615 Kuhn St. (west of Sugar Road) in Edinburg. Initial damage assessment by Hidalgo County Emergency Management personnel indicate that about 100 homes have been affected by the rain on Monday and Tuesday, August 18 and 19. In some cases, water has been reported inside homes, and streets are again flooded. Affected areas include neighborhoods near Tower and Owassa Roads, César Chávez and Alberta Roads, Tower and Minnesota Roads, and Holmes Road near Mile 17½. 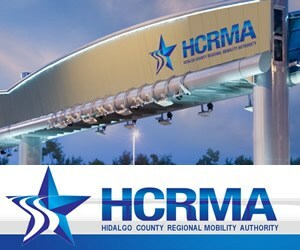 The Hidalgo County Commissioners’ Court approved a local disaster declaration on Tuesday, August 19, so that general fund monies could be expended to aid in the water relocation efforts. Gov. Rick Perry on Friday, August 22, requested a major presidential disaster declaration for Starr and Wichita counties as a result of severe storms and flooding that occurred on August 18. On Wednesday, August 20, the governor issued a state disaster declaration due to the damage these communities sustained as a result of the storms. The major presidential disaster declaration opens the door for Individual Assistance programs, which assist individuals and families for losses that are not covered by insurance, and can include financial assistance, temporary housing, tax relief, legal services, crisis counseling, Disaster Unemployment Assistance and Small Business Administration Disaster Loans. The counties are also eligible for Public Assistance, which is provided for damages to roads, bridges, water treatment facilities, publicly-owned utilities and other public structures. The Senate Finance Committee on Tuesday, August 19, heard testimony about revenue estimates, the state economy and employee healthcare incentive plans. Specifically, witnesses testified about the state of the Texas economy and tax revenue collections, and healthcare experts proposed recommendations to improve employee insurance programs. Representatives of the Texas Comptroller of Public Accounts and leaders in the healthcare industry testified at the State Capitol and addressed the interim charges issued by Lt. Gov. David Dewhurst. He directed the committee to evaluate the effectiveness of existing state tax incentives that encourage employers to provide health coverage to their employees, including tax incentives under the revised state business tax, and make recommendations for additional deductions or credits that increase the number of employees covered by health care insurance. John Heleman, chief comptroller of public accounts, discussed the new margins tax and the estimated $1.4 billion shortfall, which may be offset by strong sales tax revenue that is projected to reach $400 million above the estimate at the end of the biennium, $6.8 billion in the rainy day fund, $2 billion in estimated surplus in general revenue and $3 billion in the property tax relief fund. “Revenue estimates look good for the next biennium, however, it is too early to discuss the size of a surplus,” said Sen. Judith Zaffirini, D-Laredo. She is vice chair of the Senate Finance Committee, serves on the Senate Health and Human Services Committee and also chairs the Senate Finance Higher Education Subcommittee and the Senate Higher Education Subcommittee. “There are many competing interests for state funding, and we must prioritize health and human services, public education, higher education and an estimated $14 billion needed to pay down property taxes,” she added. The committee will make recommendations to the 81st Texas Legislature that convenes on January 13. The Texas Senate Education Committee on Monday, August 18, sought solutions to problems related to providing services to students with special needs, including parental rights, transitional services and the roles of involved state agencies. Parents and education leaders testified at the State Capitol and addressed the interim charges issued by Lt. Gov. David Dewhurst. He directed the committee to study the effectiveness of public school programs that serve students with intellectual challenges, including autism. Specifically, the committee is considering whether special education services are preparing students adequately for post-secondary opportunities. Witnesses discussed the problems parents face during dispute resolution proceedings with school districts, including the challenges they face during mediation and litigation. There also was testimony regarding House Bill 1230 (2007) by Rep. Eddie Rodríguez, D-Austin, and Sen. Judith Zaffirini, D-Laredo, related to services provided to youth with disabilities transitioning from school-oriented living to post-schooling activities, services for adults and community living. The committee also is reviewing the availability and quality of the supports and services provided by adult services agencies for individuals with disabilities and is making recommendations for improving public school special education programs and the coordination of adult education services among state agencies. Zaffirini serves on the Senate Education Committee and also chairs the Senate Finance Higher Education Subcommittee and the Senate Higher Education Subcommittee. “We must ensure that the needs of students with special needs are met,” Zaffirini said. “Adequate state funding is critical to ensure the success of special education programs. Teachers should participate in appropriate continuing education, and the requirements of the Individuals with Disabilities Education Act (IDEA) must be implemented adequately. 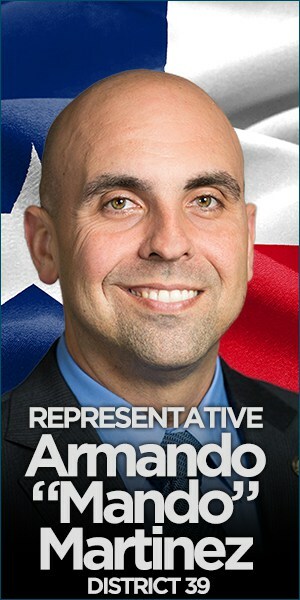 “When faced with a decision to challenge the school district’s ruling regarding a student with special needs, the high cost of legal fees often is prohibitive for low- and middle-income families to seek this route,” the South Texas senator added. The popularity of online teacher certification testing in Texas is exploding with more than 50,000 tests being taken via the Internet in the past year, according to the State Board for Educator Certification. Texas is leading the nation in moving toward online certification testing, which offers teachers their scores within seven days of taking the exams. Currently, there are 13 tests available online and in September, seven additional tests will come online. By the 2010-2011 school year, 34 of all 78 certification tests will be available online. Online testing has been available in Texas since 2004-2005, when two exams were offered. ETS’ five-year contract with the state calls for the addition of seven new test titles each year. The rapid availability of scores is a boost for school districts, too, as they make hiring decisions – especially in high demand subject areas such as science, math, special education and English as a second language. As a rule, districts do not offer hiring contracts to teachers who have not passed certification tests. Online testing is doubly convenient because teachers can usually take tests at a time of their convenience. Secure online testing sites are located at universities, education service centers, community colleges, and Prometric testing centers. Test takers have five hours to complete an exam, but the average completion time is between three and four hours. As part of the test-taking process, teachers create a secure account online and they can check for their scores by logging in to the ETS site. Loonam said she expects that online testing will eventually be the sole method for certification in the future, but she doesn’t expect paper tests to disappear anytime soon. Paper and pencil tests – the same kind that have been offered since certification examinations began in 1986 – are still available at certain times of the year for those who prefer them. Addressing the needs of rural and distressed communities in Texas should be a high priority this upcoming legislative session. The International Relations and Trade (IRT) Committee I chair recently held a fact finding hearing on these matters. Under the leadership of Lt. Gov. David Dewhurst, one of many directives assigned the committee was to develop legislative recommendations that would better provide border and rural communities access to state and federal resources. We were instructed to review programs by other states to increase the competitiveness of rural communities, engender critical development, provide affordable housing, identify community assets and retain/create wealth and regional jobs. Texas has the nation’s largest rural population. One in seven Texans works in agriculture. Between 1990 and 2000, the state’s rural population grew at a fast rate, behind only Georgia and North Carolina. A comprehensive solution is needed since many of the state’s predominantly rural counties face poverty rates of 20 percent, compared to 16.5 percent for more metropolitan areas. 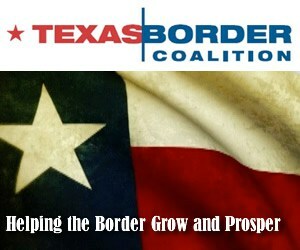 Border counties have an alarming 46 percent poverty rate. Although the average age of South Texans is 25, their lack of education and job skills training creates unemployment and poverty like rural communities with predominantly older residents. The demographics of rural Texas will help drive our economic and community development solution. According to State Demographer Karl Eschbach, rural communities tend to have an excess of older persons and relatively few working age individuals compared to metropolitan regions. The lack of jobs fails to attract young workers and the lack of young workers fails to attract businesses to the area. Entrepreneurship is stymied even for existing business owners, because of the lack of workforce. Last legislative session we worked on several initiatives to begin addressing the needs of rural communities. One bill gave the Office of Rural Community Affairs (ORCA) a charge to serve as a clearinghouse for information and resources on all state and federal programs affecting rural communities. 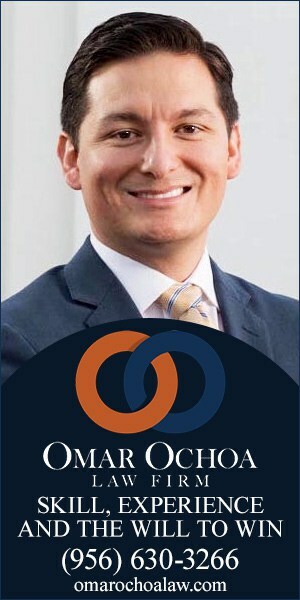 At our hearing, Executive Director Charlie Stone reported that ORCA’s Grants and Funding Clearinghouse website http://www.orca.state.tx.us/index.php/Home/Grants+Clearinghouse is in operation and provides rural communities extensive information, including funding opportunities, and tools for writing and seeking grants. However, Mr. Stone requested that the comprehensive rural development bill that my committee recommended last interim and which I authored last session, Senate Bill 1485, be reintroduced during the upcoming session. These sentiments were echoed by many officials and activists from across the state who participated in our hearing because my bill incorporated the best practices and latest reforms in rural development from across the nation. “Legislation of this type would certainly provide ORCA with the tool kit needed to address long standing challenges facing rural and Border communities and help those communities to increase their competitiveness,” stated Mr. Stone. Bobby Gierisch, Director of State Policy Programs for Rural Policy Research Institute, offered his assistance. “A successor to SB 1485 is very necessary, and I look forward to working with you, your staff, ORCA and others on creating the very best programs possible,” he said. My committee is presently drafting our interim report in which we will present a strong case for a comprehensive solution, such as SB 1485, to the state’s rural needs. I am committed to reintroducing this legislation and working with my colleagues to establish the Texas Rural Development Fund to improve the state’s current rural-focused activities. In doing so, we would provide the resources that address the critical needs of capacity or leadership enhancement and community asset identification. Regional planning and partnership information would be additional components. Through this initiative, we could provide the funding to support youth and leadership development to stem the tide of youth outmigration and dropout rates. We could also enhance wealth creation, rural entrepreneurship, business innovation and job creation. The Texas Comptroller’s Office reports that to increase economic development in rural areas, we should focus on workforce training and infrastructure development. While communities should recruit businesses, they should also encourage entrepreneurship, since almost 80 percent of new job creation is by existing community businesses. The Association for Rural Communities in Texas (ARCIT) has identified the need for job creation/retention; youth retention through workforce development; and promotion of regional economic development as our three top rural needs. All of these, reported ARCIT’s Executive Director Donna Chatham, would be covered in SB 1485. Through the support of those who testified at our IRT hearing, we will develop the right initiatives, such as those envisioned in my SB 1485, to adopt the programs from across the country that would truly create comprehensive rural community development and growth. Gov. Rick Perry on Wednesday, August 20, launched the Blue Alert network, pursuant to Executive Order RP 68. The program will enable rapid, statewide distribution of information related to offenders who flee after killing or seriously injuring federal, state or local law enforcement officers in the line of duty. Based on the successful AMBER and Silver Alert programs, the Blue Alert network is a cooperative effort between the Texas Department of Public Safety (DPS), Governor’s Division of Emergency Management (GDEM) and Texas Department of Transportation (TxDOT). DPS and GDEM are currently recruiting Blue Alert partners among public and commercial television and radio broadcasters; private commercial entities; local, state and federal government entities; and any others who can assist in spreading offenders’ information. Upon Blue Alert activation, the offender’s vehicle information will be displayed across the state primarily via TxDOT’s dynamic message signs and media broadcasts. 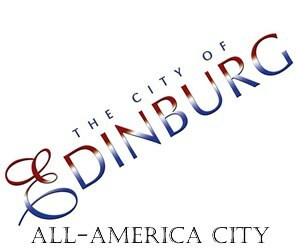 Alerts will also instruct individuals with information related to the offense to contact local law enforcement via 911. Activation of the network will be terminated upon apprehension of the suspect, evidence the assailant has left the state, or determination that the alert is no longer an effective tool for apprehending the suspect. 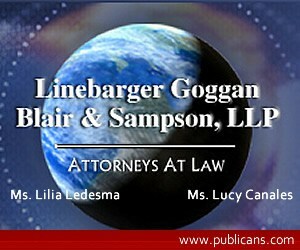 The investigating law enforcement agency or jurisdiction submits a Blue Alert request to GDEM. For the second year, new faculty at The University of Texas-Pan American were welcomed to campus on Tuesday, August 19 as part of the New Faculty Support Program, which helps incoming faculty members adjust to their new environment. Fifty-five full-time, tenure and tenure-track faculty who are new this fall to UTPA attended the program’s opening reception and a two-day academic orientation. The year-long initiative was designed to help incoming faculty adjust to their new academic and community surroundings at UTPA. 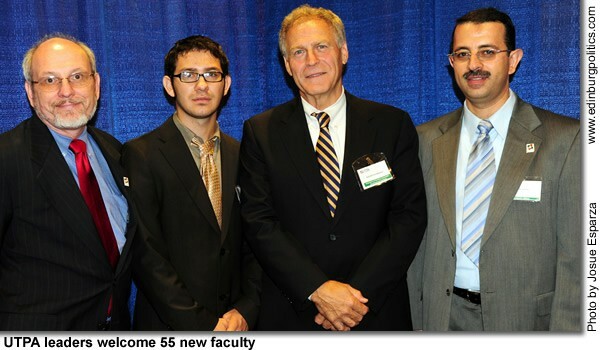 Throughout the year, the program offers a series of luncheon presentations and workshops, and includes one-on-one peer mentoring support from experienced faculty in the new faculty member’s discipline, as well as the development of a professional growth plan and information sessions on topics ranging from grant development to effective presentation and publication of research results. Dr. Ala Qubbaj, director of the New Faculty Support Program, said the program was developed to ease and support new faculty members in their transition to the University and the Rio Grande Valley. “As part of the University’s strategic direction, we want to empower our new faculty, through the support of this program, to meet the learning needs of students,” Qubbaj said. During the first day of the academic orientation, faculty members got to hear from a variety of different departments on campus, community leader Keith Patridge, president of the McAllen Economic Development Corporation, as well as UTPA student Tony Matamoros, a senior majoring in political science and history. New faculty members had the opportunity to watch a five-minute video profiling Matamoros, where he talked about his beginnings as a migrant farmworker and the hardships he faced while growing up and how that shaped his experiences as a student. Dr. Adriel Trott, who will be working in the Department of History and Philosophy, came to UTPA because she felt she could grow as a scholar here and liked that she would have the opportunity to work with a diverse student body and cultural base. She was equally impressed with the New Faculty Support Program. Dr. Chintal Desai, who will be working in the Department of Economics and Finance, said he came to UTPA because of the research resources and opportunities available and felt the program was very beneficial to new faculty.